SMARTPHONE, is the central keyword in all the conferences about connected cars. Even if the speakers and specially constructors does not want to imagine a world where the car connectivity and function would be in a smartphone, we have it in a central position. 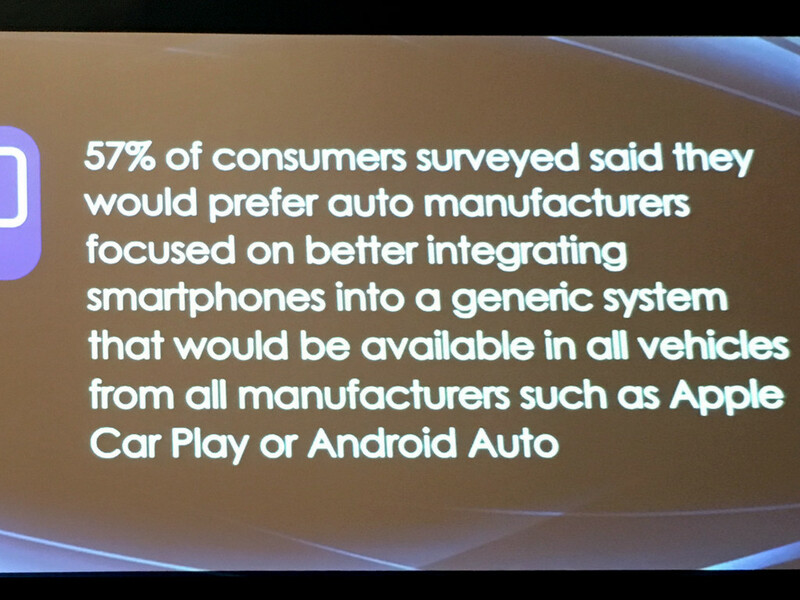 57% of consumers are expecting to access CarPlay or Android Car ; 66% of americans have a smartphone compatible with these technologies. 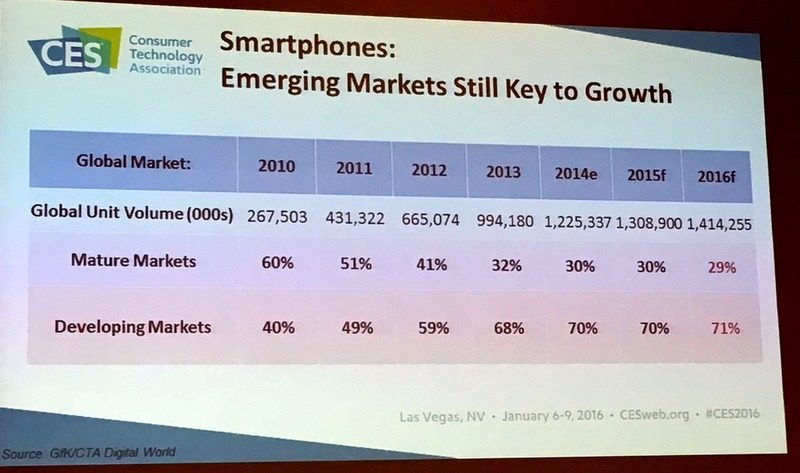 Smartphone technology is growing and progressing really faster than car with a higher refresh rate. In these conditions, how to integrate in a car functions that will be efficients and that will stay efficient during the 10-15 years of the car life ? 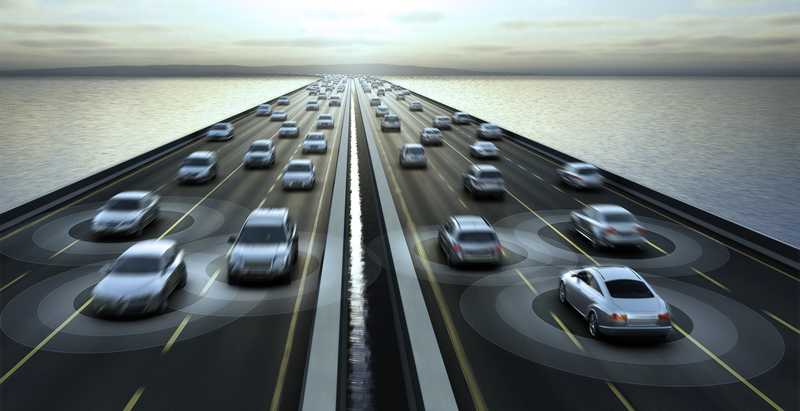 Even if the answer to this question seems easy to find, constructors continue to add and extends the digital and connected functions in cars. For the good, we have all the safety functions, really related to the car, like the collision avoidance solution, like hidden spot alarm. This kind of option is really appreciated by customers and 69% of people who have it declares to use it every time they are driving. On the opposite, more and more options provided by constructors are not expected by consumer. Network router is an exemple of option rejected by 38% ; automatic parking by 35% and HUD by 33% when smartphone related options are by 30%. Even if if means they are accepted by most of the consumers it means a large part of consumer are paying for option they are not interested in. This was a question different speakers have : will the consumer continue for a long time to pay for technology it is not using? 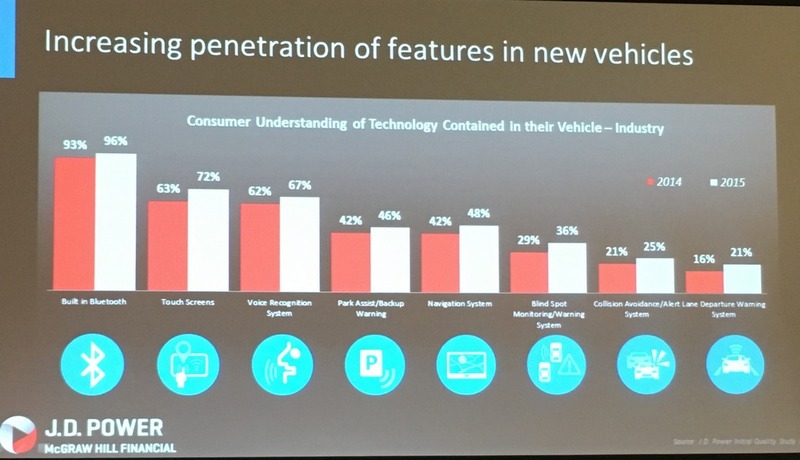 In another hands 69% of consumer are ready to change car usual brand for accessing technology they want. This is 9% more than past year. One of the first reason to reject these options is to not understand how to use it and in some case to not know you have them. As an exemple voice recognition is an option 14% of consumer who have it do not know they have it according to JD Power study. The role of the dealer is really important in the learning and the source for one third of the consumer. 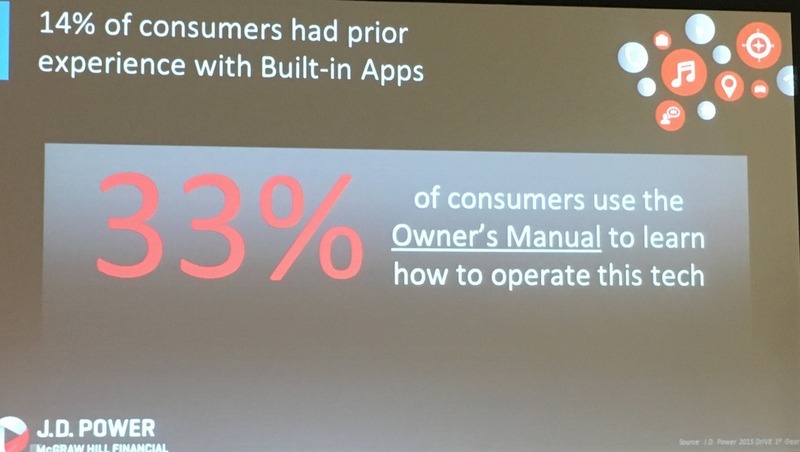 Not a lot of them are reading the manual and only 33% of the consumer are estimating being able to use the car builtin applications. 21% are estimating they are not capable to use the car builtin applications. Due to the difficult learning channel and the complexity of the use of the vehicle digital options, there is a large place for people to reject them. We have shown video comparing the time to do the same action between consumer smartphone and consumer car. It demonstrated finding a location to go on a map was about 30 second on a smartphone compared to more than a minute in a car system. Playing music was about 50 seconds in a car compared to 2 seconds with a smartphone even with the same pandora application. It is not a surprise but ergonomie in cars is not as good as on smartphone. We never have to forget that even if car industry is producing a large volume of units, smartphone industry is producing about 100 times more units a year. The context of smartphone industry is a larger competition where ergonomic is a key and consumers want a seamless experience. That is what Pandora is looking to provide by creating appliance for different constructor with the same use. By-the-way the previous experience has proven it is not yet a success. Consumer is looking for better smartphone integration and constructors want to offer them a subset of application they have on smartphone and they need for driving. The way they want to do this is still not clear. They still be convinced they can provide it by themselves. Personally my opinion is that it is a lost war and the one that will accept it will be the winner : 99% of consumer having a connected car wants to keep the connectivity option, so we can consider it as a large need but actually we are far away from a seamless experience. One of the most viewed option and scenario was to access home from the car. We had exemple like opening home door remotely from car when someone is ringing the door. Humm… Even if connected home would be a standard soon (something we are waiting for decade) it means we would have a system where someone can ring the door all over the day and we would only be interested in managing it in our car ?!? 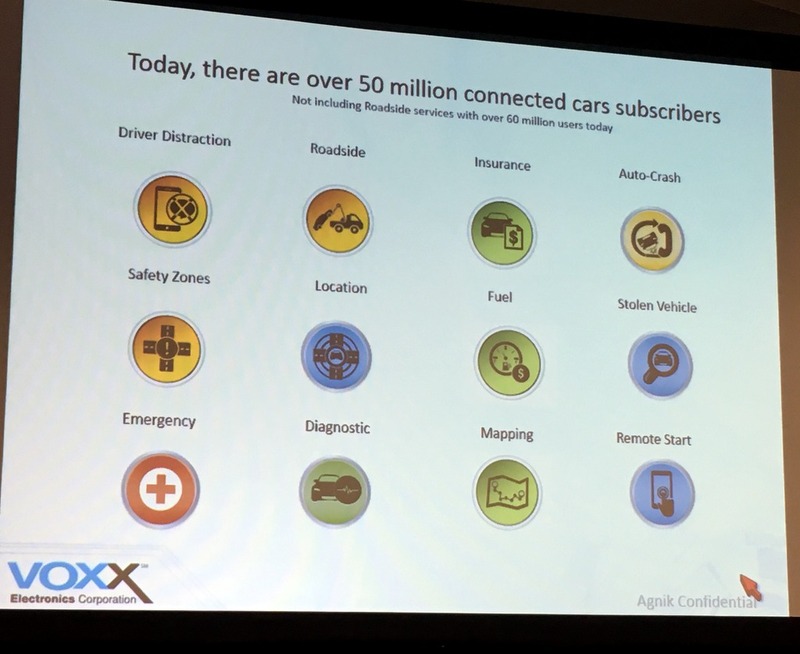 No this is not real … in a such use case, smartphone will manage this connectivity, not car. Eventually, if in the car we have a smart way to manage our smartphone it will make sense. Here are the limit of all what have been shown as “fun” options for the car of tomorrow. That was for the bad and for what seems to me the wrong way to consider cars as the center of our connected world. For the best we have an opposite direction : considering the car as a connected object we can interact with remotely. Valeo and VOXX have introduce remote keys you can pilot from a smartphone to start you car, open the doors. We have also seen system to clean frozen windshield. Volkswagen for its Budd-E concept propose to have an included mailbox you can open remotely. All theses options can be really useful as for exemple as enablers for the sharing economy. 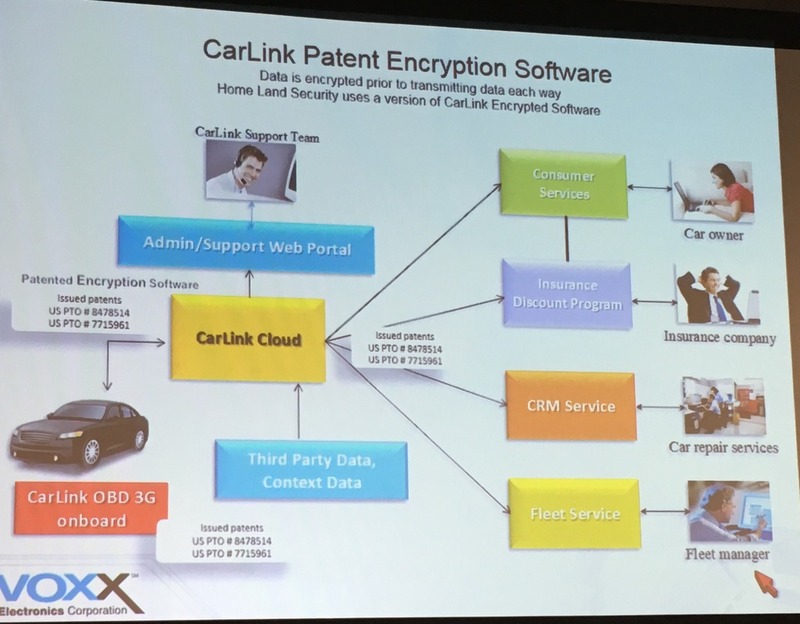 As a consequence of these options the connected vehicle is also a potentiel target for hackers and this year different hack shown that security in connected vehicle is not good enough. As a consequence, security is going to be enforced. Most of the connected add-on are based on ODB-II connectors. This one was not built for this usage and is now use as an attack vector where connected extension are the troyan. As a consequence we are going to see encrypted communication on CAN more and more frequently. This will secure the car but in a first time it will limit all the innovation we can make from this bus. This impacts the actors in place like Xee and many more : they will have to deal with constructors to have access to the encryption key in the future to continue to provide most of the services. Connected car, embedded application, automation systems are more and more deployed and even if they are not the way most of the consumer wants, they are accepted and they are providing some expected services. The customer demand is growing and this market is really interesting, not only for constructor, but for anyone as the aftermarket for it is really large : in the USA it is more than 250M vehicles to be equipped with connected systems. 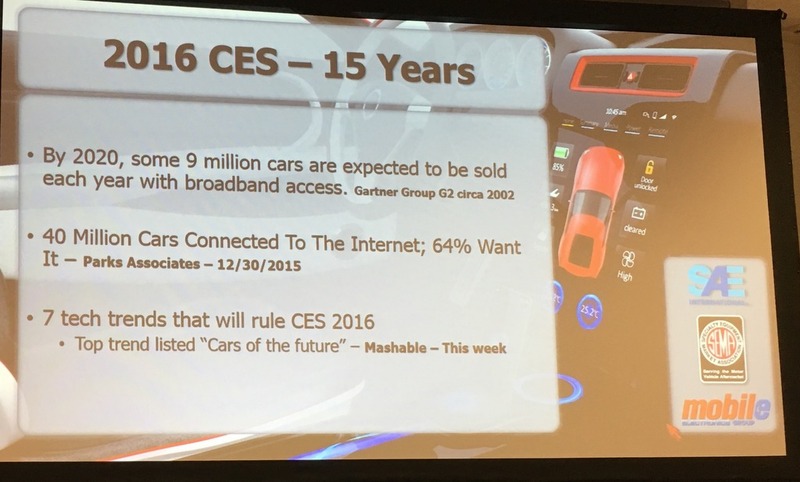 This entry was posted in Technologies and tagged CES, CES2016, Connected Cars. Bookmark the permalink.